Blue Grass Metals, Inc. was established in 1990 in a 2,500 ft2 warehouse with 5 employees. Our initial emphasis was to provide precision wire forms to the pneumatic tool industry serving the housing market. We are currently in an 80,000 ft2, (expanding to 130,000 ft2) serving a broad customer base from small business to fortune 500 companies. 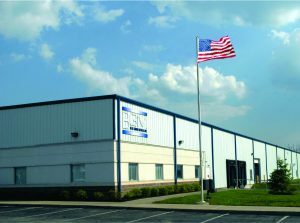 From our Headquarters in Kentucky, we proudly serve small businesses to Fortune 500 companies throughout North America.